This year, the Santa Fe Sport caught our eye with its handsome cabin. In this price range, few can match its high-quality materials. 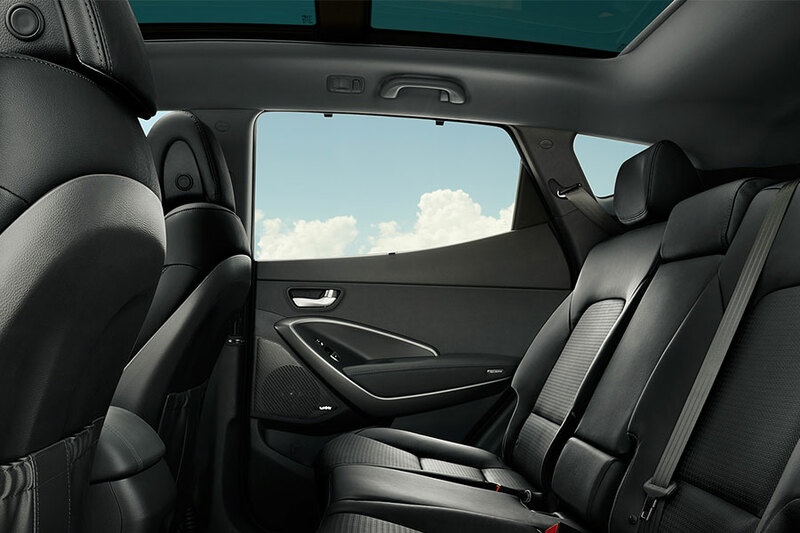 The front seats offer excellent long-term support and the rear seats feel more spacious than competitors'. In the Nissan Rogue, you'll also find a nice assembly, including solid construction and impressive materials. There are plastics throughout the cabin, but they're soft to the touch. Third-row seating is available on the Rogue S and SV models, expanding accommodations for big families. We just wish outward rear visibility was better from the driver seat - you may have to crane around to make turns or switch lanes, cutting back on daily comfort. 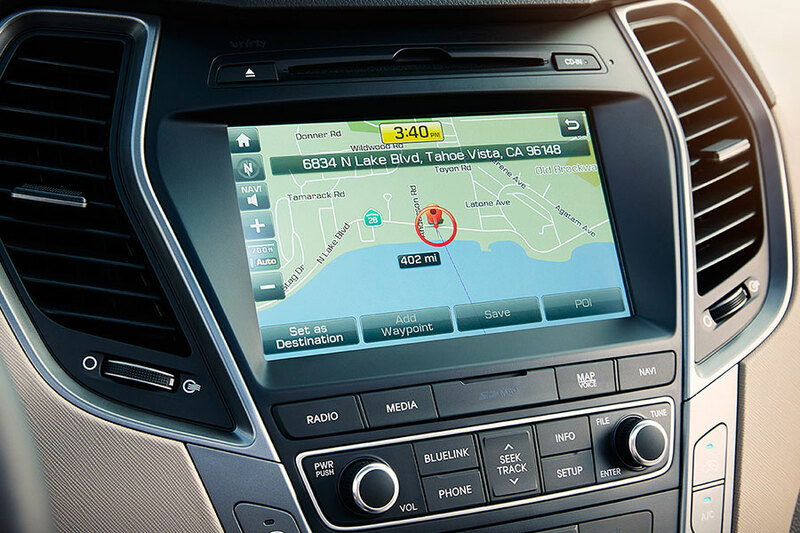 The Santa Fe Sport's tech lineup includes complete smartphone integration, with Apple CarPlay and Android Auto capabilities. This technology keeps you connected, but safely, displaying apps on your central touchscreen so you don't have to look down at your phone. We're also fans of this crossover's 8-inch touchscreen, which is quick to respond to your touch. All Nissan Rogue models come standard with Apple CarPlay and Android Auto, giving smartphone fans some relief. However, the actual touchscreen is on the small side, with only a 7-inch unit available, and it's a bit hard to reach from the driver seat. The Santa Fe Sport is ideal for worriers. Its crash-test scores will put you at ease, including a perfect five-star score from government assessors. The Insurance Institute for Highway Safety named this crossover a 2018 Top Safety Pick+ because it earned top scores in crash tests. The Nissan Rogue did almost as well, with a four-star overall rating in government crash tests.The IIHS named it a 2018 Top Safety Pick, though without the "+," taken away due to a subpar score for headlight function. To save the absolute most on gas, check out the Rogue. With its 2.5-liter four-cylinder engine and front-wheel drive, this crossover earns up to 26 city/33 highway mpg. It also offers all-wheel drive for greater precision on wet or icy pavement. Like the Rogue, the 2018 Hyundai Santa Fe Sport offers all-wheel drive for maximum safety in wintery weather. It may not be quite as fuel-efficient, earning up to 21/27 mpg with its base powertrain, but it covers plenty of ground for your money. Although the Rogue provides the thriftiest ride, we think the Santa Fe Sport's performance in other categories earns it the title. When you test-drive this small crossover SUV, you can't help but admire its handsome, comfortable cabin. You'll also love its tech features, which are easy to use as you move through traffic. This crossover also earned top-notch safety scores, so it's built to keep your family safe.